* Download a pre-compiled SacredLumina from the releases page. * Clone SacredLumina repository and unarchive in some folder. 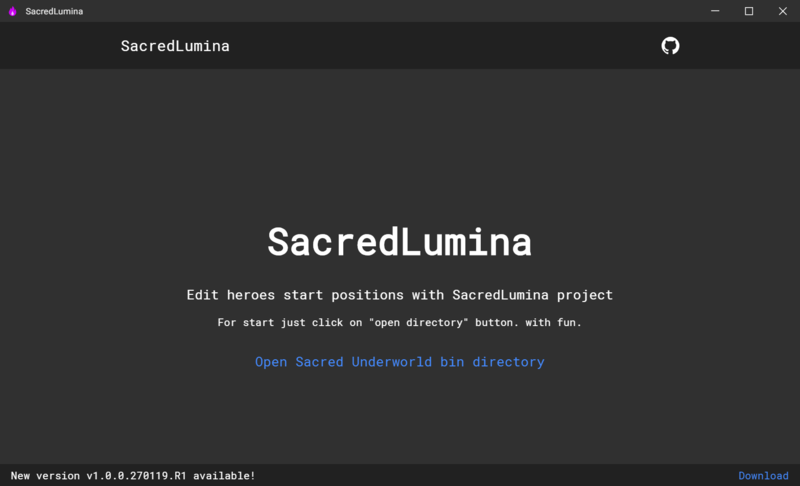 * See SacredLumina change log here (latest version above change log page). * May be... Donate please QIWI or Yandex.Money.